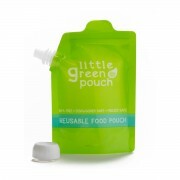 When Little Green Pouch co-founder Maggie discovered food pouches for babies, she was instantly smitten. A way to keep her babies engaged, interested and (most importantly) clean while she did chores like grocery shopping? Win, win, win. 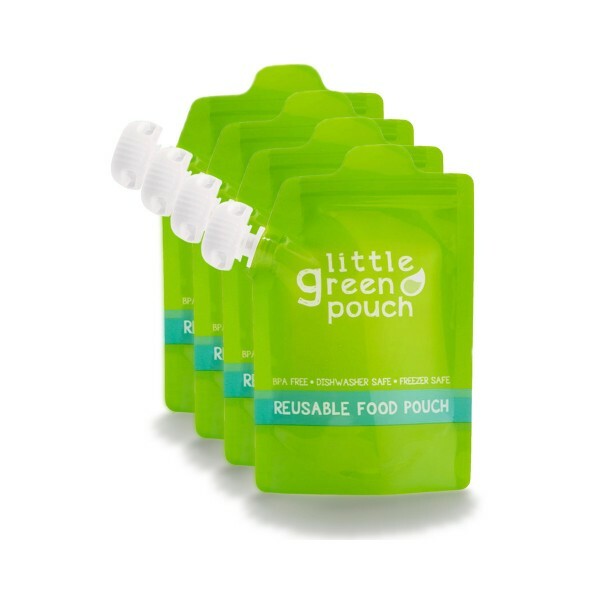 But even though the pouches certainly made her life easier, they came with a price: those single-use pouches were terrible for the environment, and the pouches were expensive and offered a limited variety of foods. So Maggie set out to create a reusable food pouch that could be filled with the foods her kids liked – the pouches would save her money, feed her kids healthy foods, and help the planet, too. Maggie reached out to friend Melissa, and the two created Little Green Pouch. The range has now expanded to include other feeding items like spoons, and complementary products (like a funnel, to help get food into the pouches). 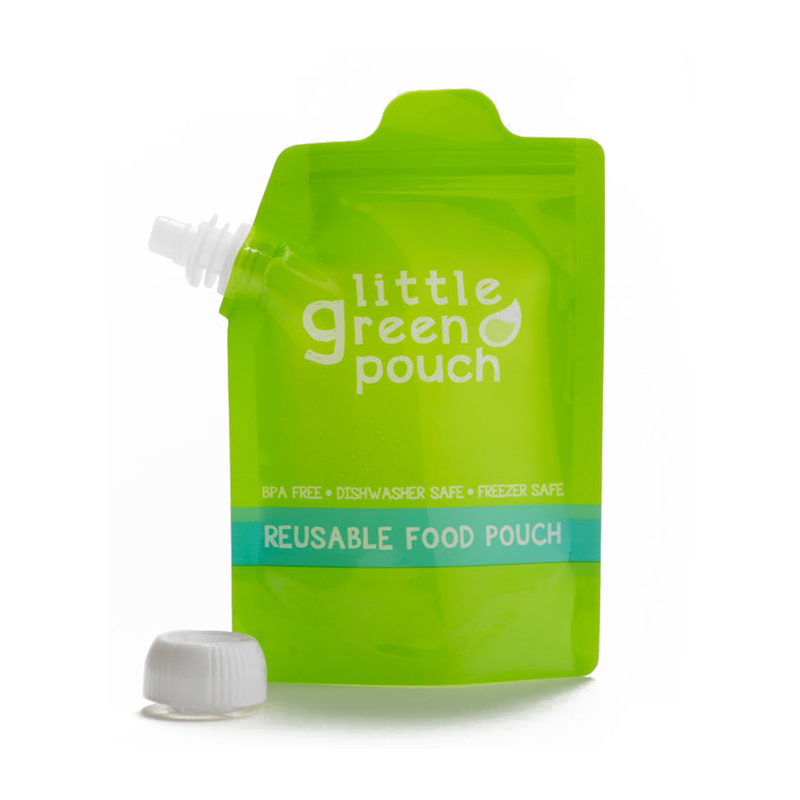 Little Green Pouches are a reusable food pouch for babies, toddlers, kids, and grownups. Your kids will love them, and our eco-friendly, refillable 3.4 or 7 ounce pouches save you money and reduce waste. 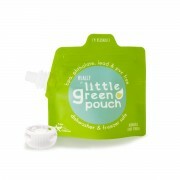 Fill and refill these food pouches with applesauce, yogurt, homemade baby food, and healthy purees. 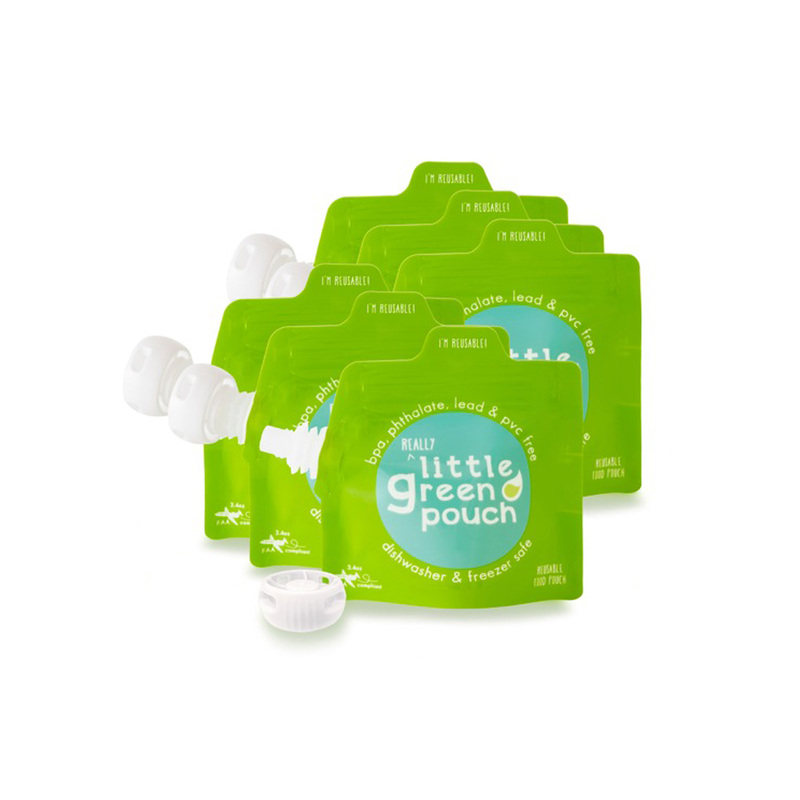 These fill-from-the-top squeeze pouches seal securely by means of a handy press zipper. They also stand up on their own once half full, so you don’t have to play a balancing game while filling them or storing them in the fridge or freezer.